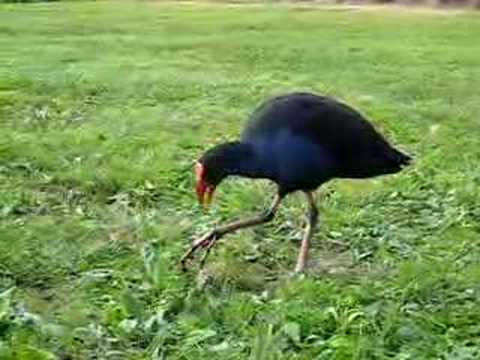 Pūkeko are probably one of the most recognised native birds in New Zealand with its distinctive colourings and habit of feeding on the ground. It is found all over New Zealand. Commonly seen along marshy roadsides and low-lying open country, the bird's range has increased with agricultural development. Unlike many other native birds, the pūkeko has adapted well to new habitats, such as grassed paddocks, croplands and even city parks, a necessity brought about by disappearing wetlands. 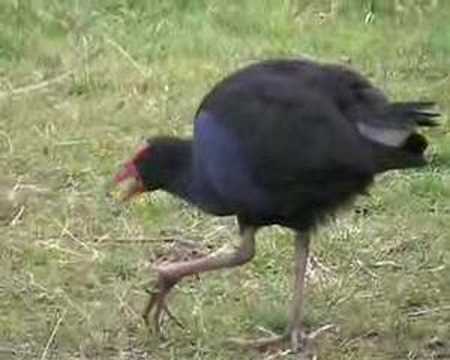 However, the pūkeko is essentially a bird of swampy ground, lagoons, reeds, rushes and swamps.